Kids can learn fractions while cooking with kids in the kitchen using tools you already have. We used measuring cups and measuring spoons to discuss parts, whole, and fractions while doing a little cooking with kids recently. 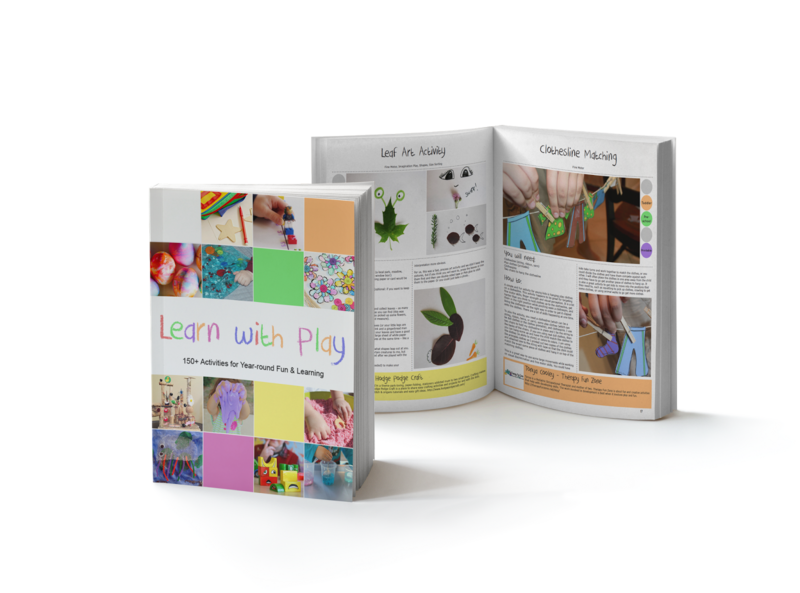 We've been on a learning kick this month with our Learning with Free Materials series, part of the 31 Days of Homeschooling Tips as we blog along with other bloggers with learning at home tips and tools. kid-friendly measuring cups out there that are plastic, large handled, and no-spill. I love the bright colors of these measuring cups and spoons, which are perfect for kids in the kitchen. While there are many kid-friendly cooking utensils out there, just grab whatever you've got in your kitchen for learning fractions with the kids for a free (or almost free) learning activity at home. To practice fractions with kids, fill a large basin with water. 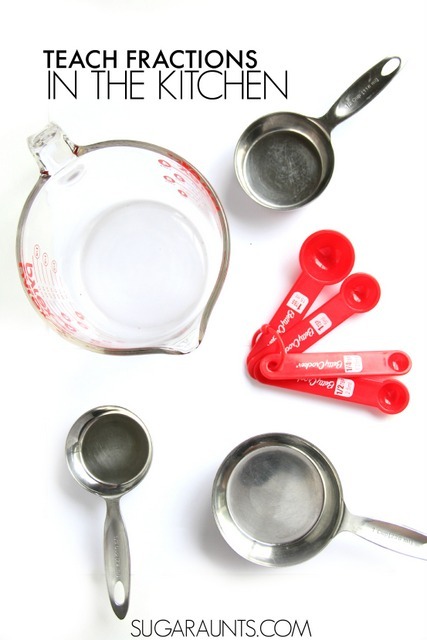 Using the measuring cups, show your child the one cup and half-cup measuring cup. You can demonstrate how the half-cup utensil will fill up the one cup utensil with two scoops. Then remove one half of the water by dumping the water back into the bin. Ask your child how many scoops it took to remove the water from a one cup (whole) cup. Continue the process using the 1/3 and 1/4 measuring cups. By adding scoops of water, kids can get a visual on how the parts make up a whole. Continue the fractions discussion by scooping and measuring with the tablespoon and 1/2 tablespoon measuring spoons and the teaspoon, 1/2 teaspoon, and 1/4 teaspoon measuring spoons. Follow our Playful Math Pinterest board.